Las Trancas Restaurant has served its community for over 30 years, bringing the taste of Mexico to their little corner of Los Angeles. Despite bringing authentic cuisine to their guests for so long, they had very little web presence, if any at all. With new ownership ready to invest in the restaurant, they called on Alecan Marketing Solutions to freshen up their brand. 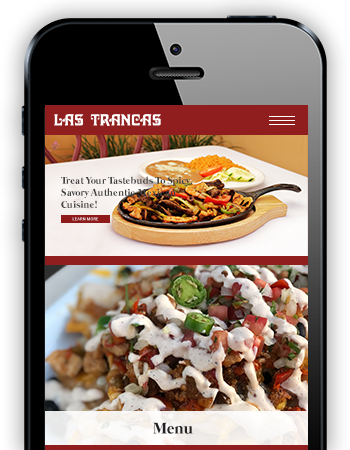 Our goal for Las Trancas was to design a website that properly reflected the care and passion that they put into their food; create a social media presence, and design a digital marketing campaign to promote their business through social outlets like Facebook Advertising. This involved coordinating a photo shoot to create content that we could use throughout their website, social media, and marketing campaigns. Our team also completely re-designed their menu to give it a fresh and vibrant new look. Their new website now offers a more updated and eye-catching look to properly showcase the investment they’ve made in their business.